Labor today made promises to voters in Port Macquarie and Old Bar. The party says it would spend thousands upgrading amenities at Old Bar Park, if it wins government. 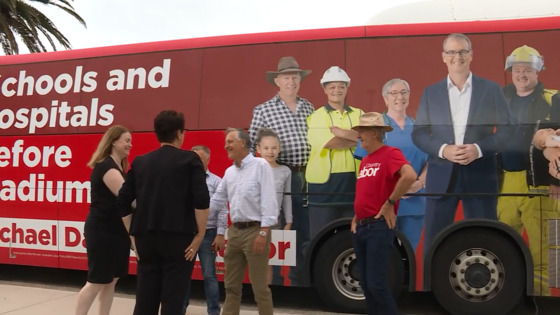 The Labor bus then visited a public school in the Hastings the party reiterating its commitment to replace 1,000 ageing demountables with permanent air-conditioned classrooms.